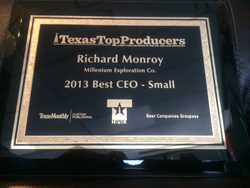 Richard Monroy, Millennium Exploration Company's President & CEO, was recognized as a finalist in Top Producer in the Best CEO category by the Texas Independent Producers and Royalty Owners Association (TIPRO). In addition to being recognized before a sold-out crowd, Monroy was also featured in the October 2013 edition of Texas Monthly. Finalists for "Best CEO" have proved to be instrumental to the growth and success of their company, and have helped generate positive results for stockholders, investors and partners over the last ten years. They have improved operational efficiency and corporate profitability, and hold a solid record of sound leadership. 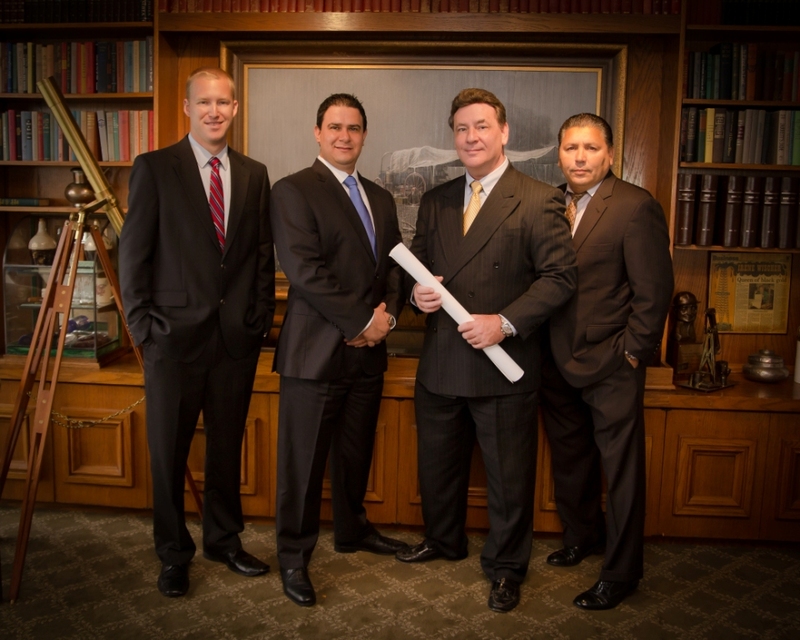 They also have significant experience managing company operations within Texas. The Best CEOs have been divided into three separate categories, based on their company's total production of oil and gas in Texas according to TIPRO. Mr. Monroy stated "It is a tremendous honor to be listed among the most notable names in oil and gas". Mr. Monroy's firm is going into it's eighth year in business and, after having a record year in 2013, is looking forward to breaking new records of production in 2014. Feel free to visit Millennium Exploration's website for more information.